The 2016 Fuller Center Bicycle Adventure set a goal of raising $250,000 this year for The Fuller Center’s work of building and repairing homes in partnership with families needing simple, decent places to live. 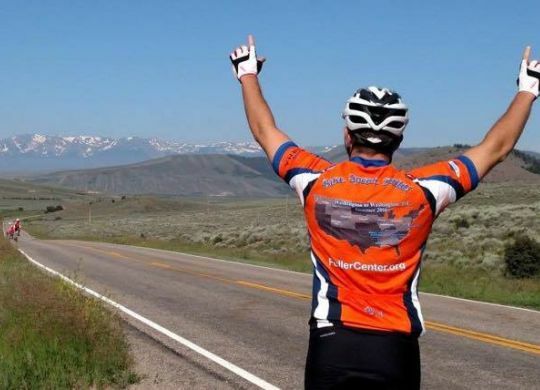 Donors to riders on the 3,500-mile summer ride from Seattle to D.C. and the 400-mile weeklong spring ride down The Natchez Trace Parkway smashed that goal, contributing a record $296,000 (so far) toward the riders’ efforts. That total was boosted by record participation by cyclists, requiring the summer Adventure to split into two packs starting their summer rides one week apart. In 2017, there will again be two summer rides, but they won’t be following the same paths. Allow our route leaders Connor Ciment and Henry Downes to tell you more in the video below. Then, please visit FullerCenterBikeAdventure.org for more information. THAT IS SOOOOOOO EXCITING!!!!!!! I want to come see the cyclists as they ride through Cannon Beach, Oregon, one of my favorite places on earth! I want to come see the cyclists as they ride through Cannon Beach, Oregon, one of my favorite places on earth! Very exciting!! !